January 29th, 2015: The blog became self-aware. Greetings, reader, and welcome to the first post on our bran-spankin-new blog! As a test of sorts, here is something I was occupying myself with some time ago. 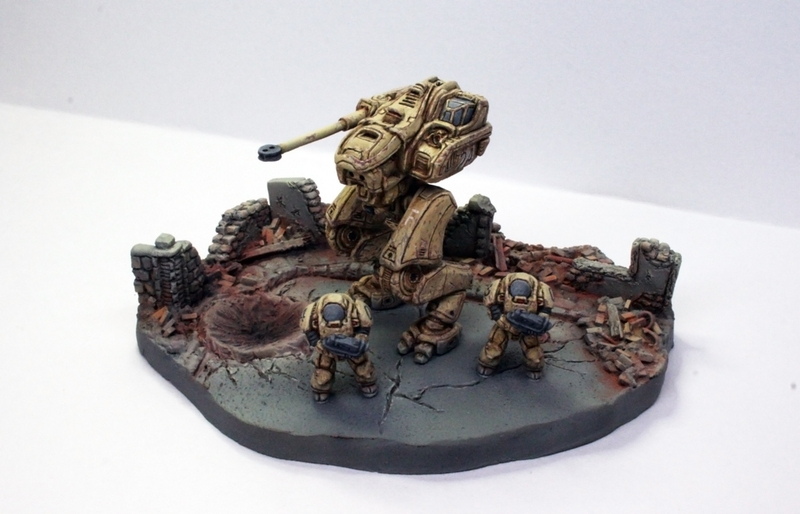 I simply love 15mm (or 1/100 if you prefer) scale wargaming and when I decided to stretch my wings as a sculptor I immediately wanted to jump in with 15mm scifi mecha action. 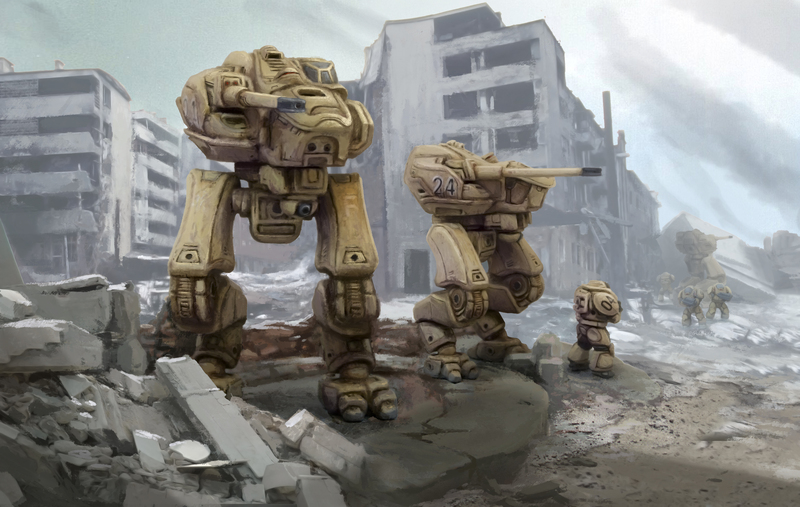 What came out was this heavy aufklärungs-type mech and some hazard-environment suited combatants, ready to take on the world. After sculpting everything (except the barrel of the gun, that is brass rod) from super sculpey I then made some silicon molds and made some copies using a 2-component resin. I made a small vignette and painted it up, and later made a sort of “box art” -picture for fun. 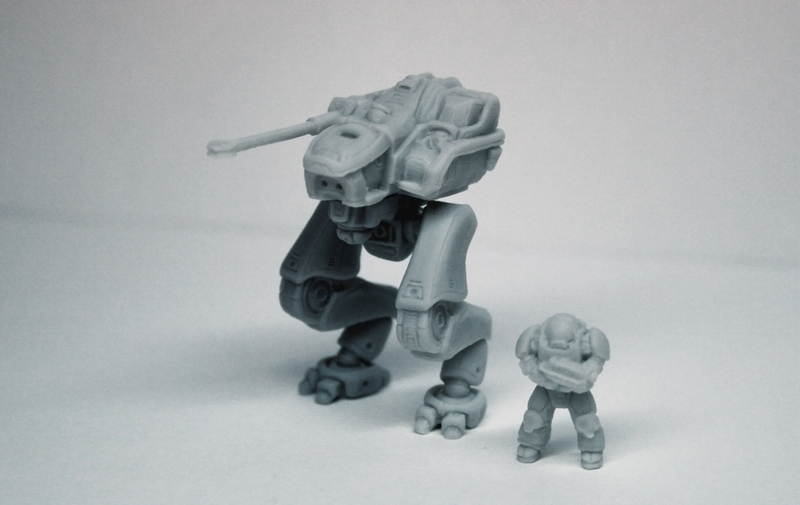 This is still an ongoing project, so if you decide to stay I can guarantee some more 15mm scifi-sculpting-action somewhere down the line! Again, welcome reader – and I hope you dig.